Distributed Ledger Technologies are promised to be genuinely disruptive in a variety of industries and sectors, from the food supply, pharmaceutical, real estate, financial services, academia and healthcare. Blockchain technologies vastly improve the flow of data within and among companies and people and transform the way that the Internet is used to exchange value. The use of distributed applications can revolutionise and simplify complex system tasks and create new substructures in a fully developing distributed economy as part of Industry 4.0. Blockchain technologies have the enormous potential to transform healthcare and existing security, privacy and interoperability issues allowing more flexibility and freedom to patients and their data. New economies of scale are emerging for health information exchange that makes the management of electronic records easier while eliminating fictions and costs associated with current intermediaries. 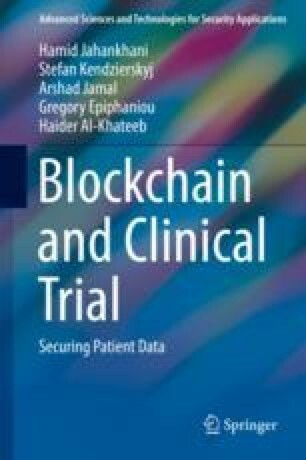 This chapter seeks to explore the idiosyncrasies of Blockchain technology and its adaptation in healthcare with an emphasis to its core features and applications. We expand to the key risks and opportunities of Blockchain and briefly discuss this pilot studies in healthcare.